← ‘Samantha Jones’: A character I adore, but can never be her. I would like to wish all the mothers around the world, a very happy Mother’s day. Here’s what I have to say about the two most beautiful Female Humans/Mothers I’ve ever known. I’d say undoubtedly, I AM LUCKY! 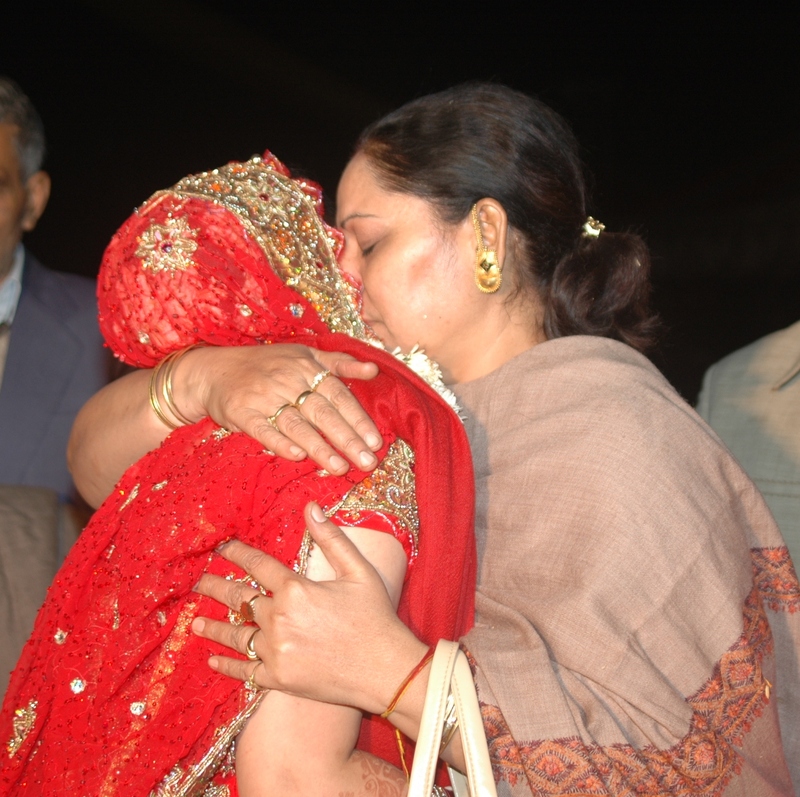 My mother blessing me while bidding good bye after the wedding ceremony. It was tough! Very tough! The one who carried me inside her for nine months, gave birth & when she held me in her arms for the first time, she looked into my eyes, kissed me and said, ”You are the most precious gift I have ever received, thanks for blessing me as a mother, I owe you my life”. She eventually became my best friend, a friend I could be honest to. I still move to her for comfort. Her positive approach is infectious. Her calmness is endearing. Her toughness can make any man cry. Her determination & will power are not somethings one would take for granted. She talks to the almighty for me and it always works, yes, her vibes have a unbeatable connection up there. She has her head on her shoulders. She fears nothing. Mama with Diyas. 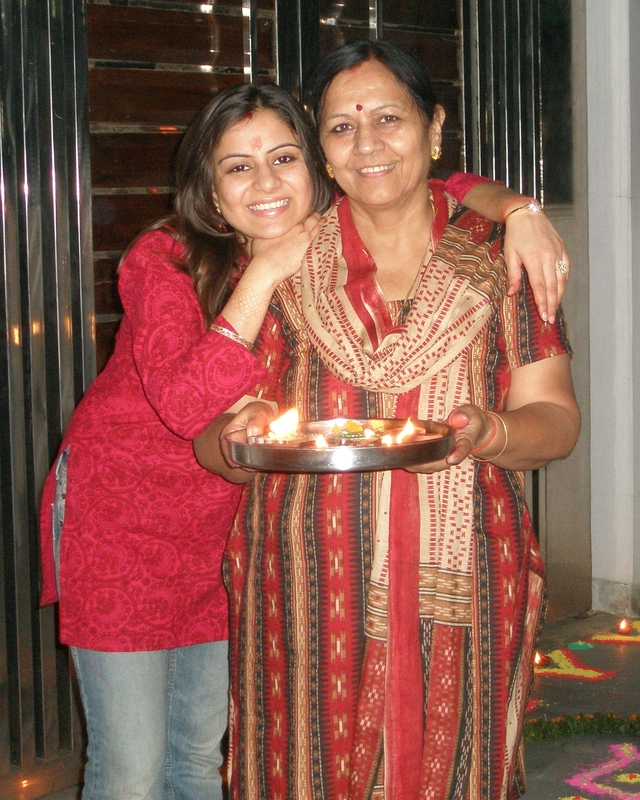 Since we stay in different cities, Diwali is one festival we make sure to celebrate together. One of the things we enjoy doing is, buying gifts for friends & family. The one, who with a smile said, I’ll carry you from here on. She welcomed me in to her world with open arms. Her eyes spoke a thousand words, said, ”It’s a new turn & a new journey altogether, just put a smile on your face & see the world change”. Her smile can melt any heart. Those hands, which are never tired. Her patience is immense. Her work never ends. She’s always on the roll. She definitely has a funny bone. She can crack up unexpectedly & make the room go bonkers with her one liners. A charmer on the whole. Can’t imagine finishing the Mother’s Day blog without mentioning Mother Teresa. Here’s one poem by her, which both the above mentioned ladies believe in. I’m not there yet, but will undoubtedly give it a try & consume it too. It’s hard, you know. Saying that, it doesn’t mean that I don’t share the same belief, I do! 18 Responses to Mother’s Day! You are my darling daughter, dear friend and world’s best guide. Thank you, Maa! Thanks for always being there. Words can hardly express how much you mean to me. A heartfelt thanks, Mama! That really means a lot. The email which became a blog. Re-blogging on International Mother’s day. Love to all! How beautiful your Mother is! You made me cry……..I miss my Mother so much. Thank You for sharing yours! I’m so deeply touched, thank you! I wanted to write to both of them directly via email, as I mentioned, then something told me to go public and share this special bonding with the rest of the world, hoping it would spread more love around. Your thoughts and emotions are the testimony of my decision. I wish you all the love in the world. You make such a difference on this planet and we are all grateful to touch your world. 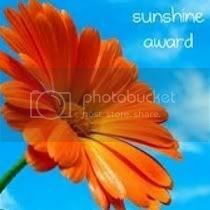 Well, I cannot give you an award that you have already recieved…….therefore I hereby replace it with “The Very Inspiring Blogger Award” which is more appropriate for my intentions anyway. So here it is! Because you do inspire me. Well well well, I’m on cloud nine, again! How much thanks is enough thanks for you? Please let me know. I feel honored and this is my dose of inspiration today. Also, have no clue about the process for this award, do you have a link, I could have seen if you had a search box (please add if you can), so please help! You are a kind soul, I can tell. You list seven things about yourself and nominate up to seven bloggers who inspire you……I also give the award to non-bloggers who inspire my blog……..but I like to do things my way!!! Keep inspiring us with your inner wisdom. Happy belated Mother’s Day to mothers everywhere! And where is the picture of what I’m sure is a big, beautiful smile?